Two communities near Welshpool are joining forces to celebrate the career of their much-loved parish priest. Reverend Canon Roger Bird is retiring after 22 years as Vicar of Guilsfield and Buttington. Congregations from St Aelhaiarn’s, Guilsfield, and All Saints, Buttington, will attend a joint thanksgiving service for 64 year-old Rev Bird at Guilsfield this Sunday, August 31, at 10.30am, followed by ticket only lunch in the village’s Old School. Roger was born in Colwyn Bay, North Wales, in 1949 and found he could sing when, as a six year-old, he joined the choir of the town’s St Paul’s Church. It forged an enduring love of sacred music and song. He trained at King’s College, London and St Augustus College, Canterbury before his first job as a parish curate in Prestatyn in 1973. There he met Barbara, who was a member of Christ Church choir. Roger was made Rector of the parishes of Llandysilio, Penrhos, Llandrinio and Criggion in 1978 and became Diocesan Director of Education in 1989, a post he held for 10 years. He took up his most recent post in 1992 and during that time he was also twice Rural Dean for the Pool Deanery. Roger said he had seen some changes at Guilsfield. “When I joined there was no choir, so I went to the school to recruit some choristers for our first harvest festival, after that there was no stopping us!” he recalls. He is particularly pleased that Guilsfield Church has been refurbished in recent years including a new kitchen and children’s area in the main body of the church, new oak and glass entrance doors and redecoration throughout. The congregation has grown to around 130 regularly on a Sunday and Roger also introduced the annual Christmas Eve carol service, which sees the church packed to capacity. 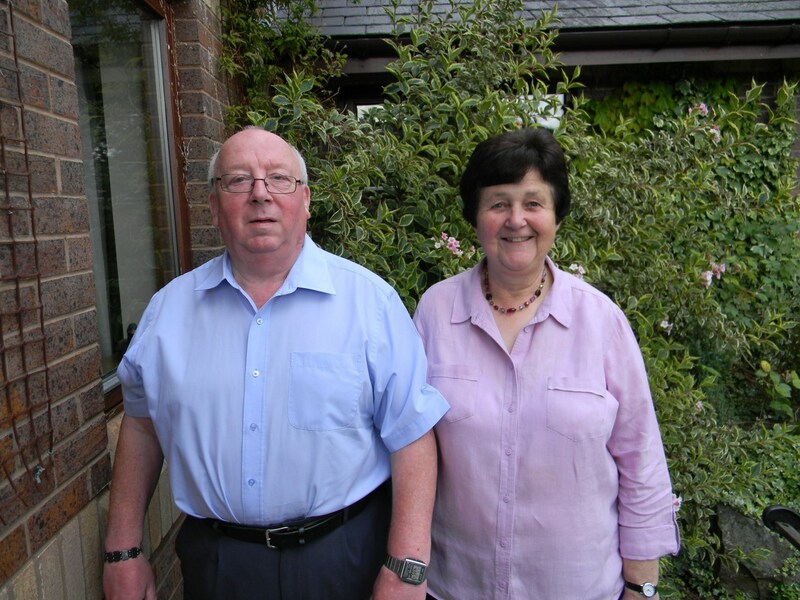 Roger and Barbara will retire in the community where they have so many friends, to a new home just around the corner from their Guilsfield vicarage. They have sons Philip, David and Stephen, daughter in law Jenny and four grandchildren, and Roger says he is looking forward to spending more time with his family. “I’m certainly looking forward to going to church and being able to sit with them, rather than having me at the front and them at the back!” he said.